While a traditional passbook savings account offers low interest rates, you can often open an account with a minimum deposit of only $25. A passbook savings account is a liquid asset that offers individuals a convenient way to save. Still, you will want to compare the interest rates offered by competing financial institutions, in addition to finding out more about the quality of customer service and any other benefits a particular bank may offer for opening a savings account with it. One of the major advantages of having a passbook savings account is that the FDIC insures your money. The Federal Deposit Insurance Corporation is a government agency that will reimburse account holders their money up to $100,000 if a bank or savings and loan company fails. Retirement accounts are insured for up to $250,000. While a passbook savings account does not accumulate much interest, there is virtually no risk. It may not be the best investment option, but it's a place where you can put some money and keep it safe. With a passbook savings account, you have immediate access to your funds. You can go to the bank and withdraw your money anytime you want with no penalty. Some banks even allow you to withdraw money from your account with an ATM or debit card. While there are banks that charge fees if you keep a low savings balance, other bank maintenance fees are generally minimal. Although not all banks still offer the option of passbook savings accounts, smaller, local banks are more likely to make passbook savings available to their customers. A study conducted by the Consumer Federation of America shows that many Americans who save are losing out on earning more interest income by depositing their money in low-yielding passbook savings accounts. More than half of those who save report being unaware of the interest rate their savings accounts are paid. Consumers should shop around for a savings plan that offers a higher rate of interest. For example, savings and loans often pay better interest rates than banks. Some passbook savings accounts earn more interest if you leave the money on deposit for at least one year. Although interest rates among competitor banks and savings and loan companies are similar, your money may earn higher yields depending on whether the interest is compounded daily, monthly, quarterly or annually from the day of deposit to the day of withdrawal. Depositing your money in an account that compounds interest daily may be to your advantage if you plan to let the money sit for a while. 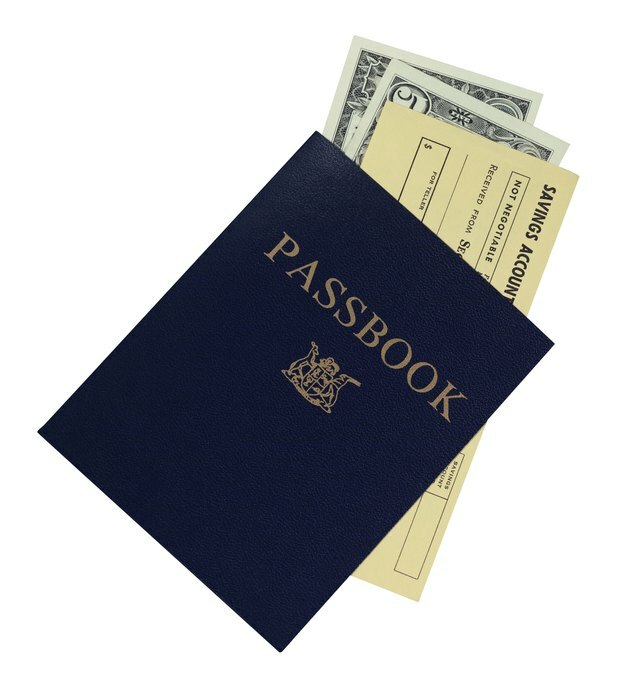 Read the terms of a passbook savings contract before signing. Ask questions about any terms which you do not understand. Some banks limit the number of withdrawals you can make from an account each week or month. Generally, these rules are established to discourage account holders from using a passbook savings account like a checking account. Banks sometimes charge a $1 service fee for each withdrawal in excess of those allowed within a specified amount of time. Some banks will waive monthly service charges for personal checking accounts and bank card usage fees if you maintain an agreed upon balance in a passbook savings account with that same bank. A bank may not require that you keep a minimum balance in the account, or charge a monthly service fee. Many banks now allow account holders to access their passbook savings accounts through the banks' online banking service. Your bank may offer a direct deposit option that allows you to make regular deposits to your account. Electronically transferring money from your checking account to your savings account can save you time and a trip to the bank. You may find it easier to save with direct deposit because the money will automatically be transferred to your account. Since passbook savings accounts do not earn much in the way of interest, this type of savings is not a good choice for money you intend to keep in reserve for a number of years. In that case, you may want to investigate low-risk savings plans that will offer you a much better rate of return. Another disadvantage of passbook savings is that you must pay income taxes on any money the account earns no matter how minimal. Taxes and the annual rate of inflation can easily reduce the little bit of interest earned by 25 percent or more. A money market account might be a better option, as your money will be earning much more interest. Depending on the bank, you may be able open an account with an initial deposit of only $1. Financial Guides: What Is a Passbook Savings Account?